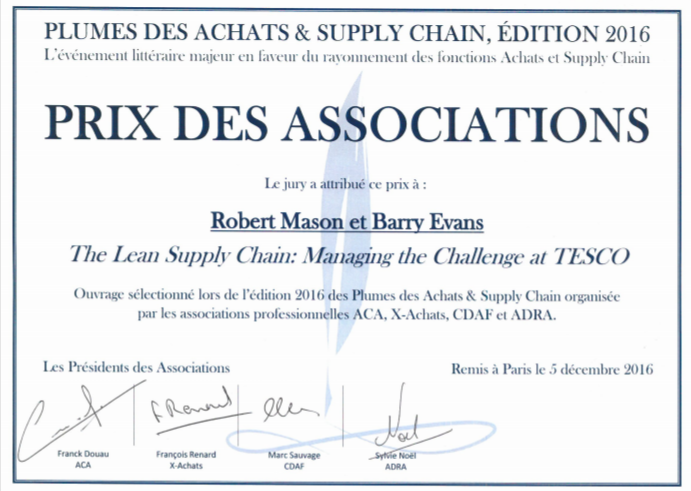 The book The Lean Supply Chain: Managing The Challenge at Tesco by former LERC members Barry Evans and Robert Mason of Cardiff Business School has been awarded a prestigious prize in Paris in December from Les Plumes des Achats et Supply Chain. 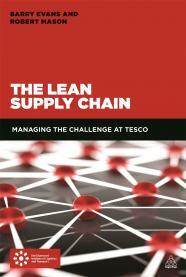 This book examines how Tesco built one of the world’s most successful supply chains, assesses its most important innovations and examines how it is dealing with current challenges in order to maintain its market dominance. Barry Evans also co-authored with Simon Elias an LCS website article in 2015 titled Tesco: Lean Retailer Lost?